Home / GST / When Can You Not Avail of Input Tax Credit? We have previously discussed situations and examples where one can avail of Input Tax Credit (ITC). However, did you know there are situations where ITC cannot be availed of? In this post, we aim to educate you on the scenarios and situations where a businessman or dealer cannot avail of Input Tax Credit. ITC registration must be applied for within 30 days from the date when the taxpayer becomes liable to register. In case this registration is not applied for within the time period so prescribed, a businessman can lose the ITC that he is eligible to avail on the inputs on semi or finished goods, a day before he is liable to pay the tax. So if you have not registered, you cannot avail of ITC. There is a time prescribed for availing the ITC – it must be done within 1 year from the date of the invoice of the goods, or from the date of filing returns for the next financial year in September, or from the date of filing the annual return which falls on the 31st of December of the next financial year. For example, Dealer XYZ deals with car accessories. It purchases automobile parts for INR 1,00,000 from a manufacturer ABC on 25th June, 2017, and the GST so paid at 18% on this purchase amounts to INR 18,000. XYZ has filed its annual return for the financial year 2017-18 and the September 2018 return is filed on 12th November, 2018. 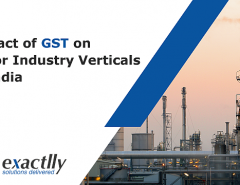 Therefore, in keeping with this example, the earliest date is June 24, 2018 and thus the ITC on the invoice must be availed before this date. Furthermore, ITC availed will be added to the liability of a recipient in addition to the tax already due in the event that the recipient of the service has not made the payment against the invoice as well as the tax payment for receiving such service, upon having being served the invoice and a three-month period for paying has lapsed. 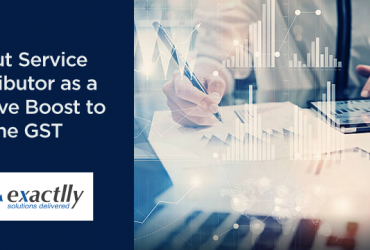 For example, if Dealer XYZ has availed of auditing services and the total value of the services is INR 40,000 (alongwith a GST of 18% amounting to INR INR 7,200) and the payment of the total amount of INR 47,200 is not done within three months of the date of invoice, then the ITC of INR 7,200 so availed will be added as a tax liability in addition to the due interest amount. RNA stores is registered as a composition taxpayer under the GST regime and it purchases cleaning merchandise from the manufacturer for INR 40,000 which a GST of 12% or INR 4,800. 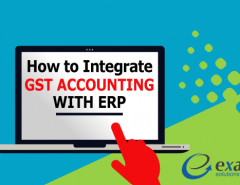 Thus, RNA cannot avail of ITC of INR 4,800 on the purchase as it is registered as a composition taxpayer and this GST will become part of the main cost of the purchase. In the previous example itself, if RNA was not registered as a composition taxpayer and in case goods were purchased for INR 2,000 for the owner of RNA stores for his personal consumption and the remaining goods were sold to consumers, the ITC could be availed on the remaining goods so purchased at 18% GST. In the event that goods and services are being used for making exempt supplies, and the taxpayer pays tax on a reverse charge basis on supplies, ITC cannot be availed off. For example, if F&M Clothing manufactures exempt goods and purchases raw material inputs which are used to manufacture that exempt good, then ITC cannot be availed on the inputs so purchased – explanation being that they are purchased for the manufacture of an exempt good. It is pertinent to note that ITC cannot be availed on goods that are lost, stolen, destroyed, written off or disposed of as gift samples or free promotionals. For example, if as a garment manufacturer, three bundles of clothing worth INR 10,000 gets destroyed by fire, you cannot avail of ITC on the same, i.e., INR 10,000. Motor vehicles and other modes of conveyance need to be either further supplied (not first supply in the supply chain), used for transporting other passengers, or vehicles used for imparting any kind of training or navigating as a service, to be able to qualify as goods on which ITC can be availed. In case your vehicle or conveyance does not fall under these categories, it cannot be used to avail ITC. For example, a shuttle service used to transport employees from one part of the office premises to another or a van used for transporting raw materials from one factory to another cannot be used to avail of ITC. However, if the shuttle service is used to transport employees of another company from their homes to office, then it can be used to avail of ITC. In these cases, unless the ITC is used to be availed on for making an outward supply of goods or services, it cannot be availed of. For example, ITC cannot be availed of by a clothing company availing ITC on a catering service as that is not their primary business. However if the clothing company itself is providing catering service to a third party, it may avail of the ITC. Services such as taking membership for health and fitness clubs, renting vehicle services, insurances such as life and health insurance taken for employees (not including services that need to be mandatorily taken for employees) are all services on which ITC cannot be availed. Additionally, ITC cannot be availed on giving employees travel benefits or travel concessions. 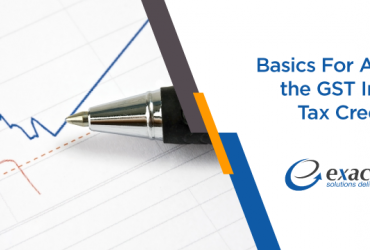 In case of capital goods, if one has already claimed the tax component on the cost of depreciation, ITC cannot be availed on the same capital asset. In case you are a regular dealer and you have already availed of the ITC and after that, you switch to the composition scheme. In this case, you need to pay back the ITC so availed while you were a regular dealer. This ITC is payable on the inputs in stock, semi-finished goods as well as finished goods alike, including the capital goods used before switching to the composition scheme. 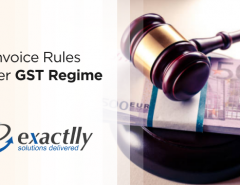 For example if you availed of ITC to the amount of INR 50,000 as a regular dealer, upon switching to the composition scheme, you must pay back the entire amount of INR 50,000 so availed as a regular dealer. Certain goods and services may become exempt by way of a notification by the government. In this case, the taxpayer needs to return the ITC so availed on these goods and services including availed on all inputs in stock, semi-finished or finished goods including capital goods. In case you availed of ITC on good X which is prospectively notified as an exempt good, you must return the ITC so availed.